“Darksiders 3” is set to be released in the last quarter of this year and it will be available on the PC, PS4 and Xbox One. THQ Nordic confirmed that the game is currently in development and it scheduled its release for Nov. 27. The Austrian video game publisher posted the announcement on Steam Community on July 9. It also mentioned that as part of the pre-order campaign, it will be rewarding players for their loyalty. It was revealed that aside from the game, those who pre-ordered will also get the Fury exclusive armor DLC, which is coming out on the same day of the game’s release. Furthermore, THQ Nordic is offering three package options for gamers who would like to purchase “Darksiders 3.” The standard digital game edition is available for pre-order for only $60 while the other two are Collector’s editions with price tags of $149.99 and $399.99. First, the “Darksiders III” Collector’s Edition is being sold for $149.99 and it includes a premium box case, Fury’s figurine, steelbook, artbook , the original soundtrack, and exclusive armor DLC, which is a skin that will replace Fury’s entire base armor set. As posted on THQ Nordic’s website, the second option, which is the “Darksiders III" Apocalypse Edition, includes the premium box, wall scroll, four figurines (Fury, Vulgrim, War and Death), steelbook, an amulet with necklace, artbook and the soundtrack. Of course, this will also come with Fury’s armor DLC, too. 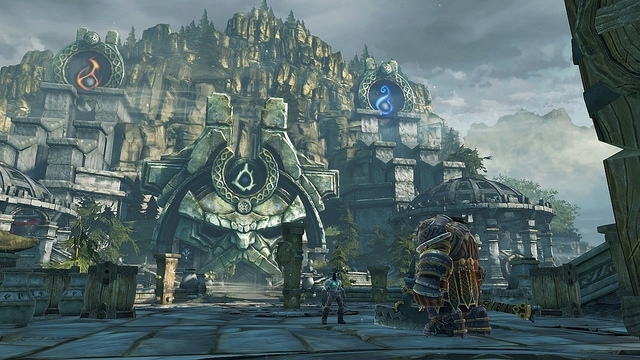 “Darksiders 3” is a hack-and-slash adventure game where gamers play as Fury, the protagonist and one of the Four Horsemen of the Apocalypse. Her mission in the game is to catch and get rid of the Seven Deadly Sins.